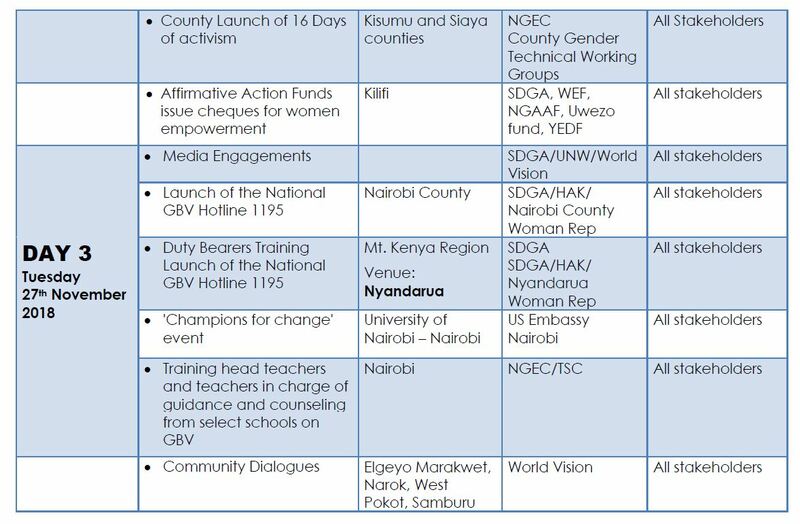 From Sunday, 25th November, we mark the 16 Days of Activism Against Gender-Based Violence, which is an international campaign to challenge violence against women and girls. 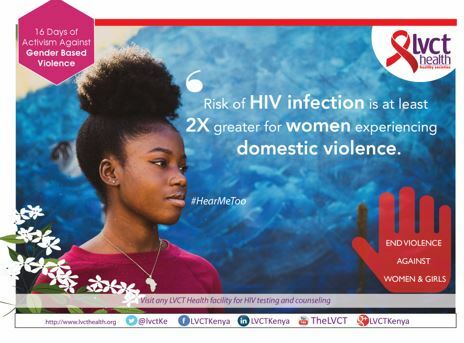 The campaign runs every year from 25 November, the International Day for the Elimination of Violence against Women, to 10 December, Human Rights Day. 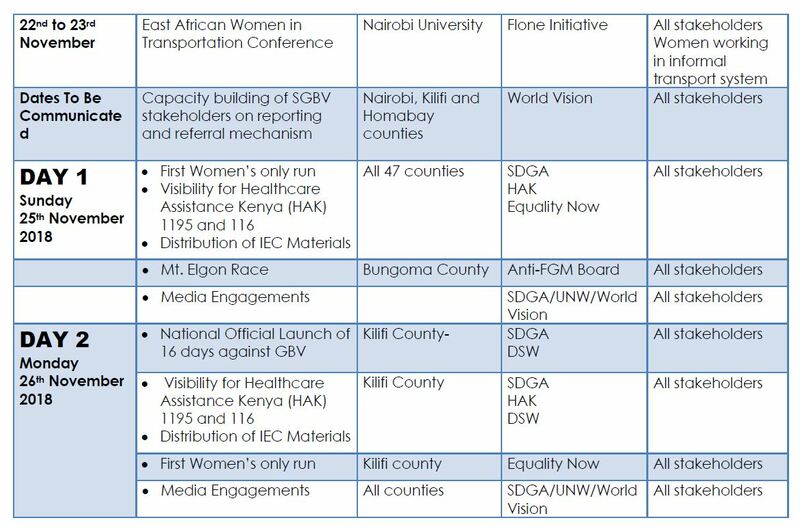 It was initiated in 1991 by the first Women’s Global Leadership Institute. 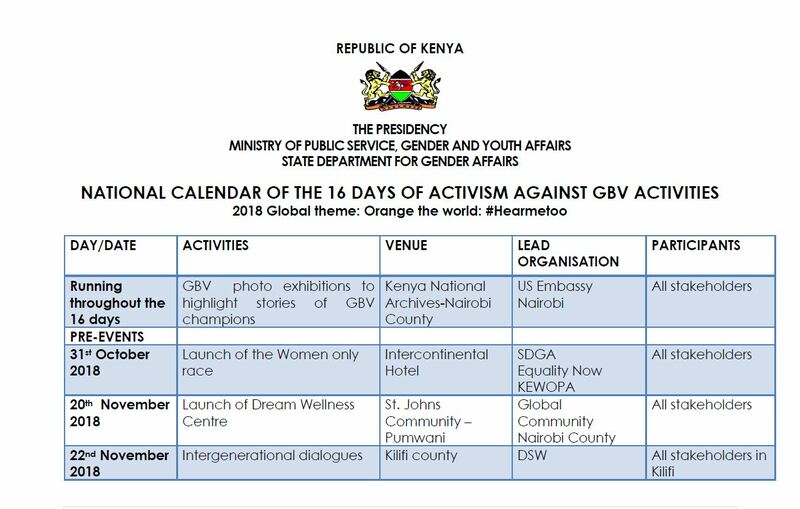 The 2018 Global theme: Orange the world: #Hearmetoo, through which partners are encouraged to host events with local, national, regional and global women’s movements, survivor advocates and women human rights defenders and create opportunities for dialogue between activists, policy-makers and the public. 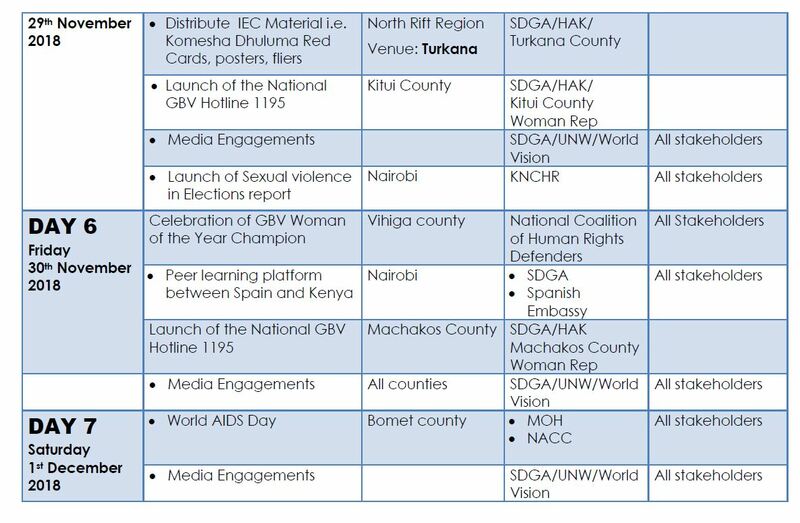 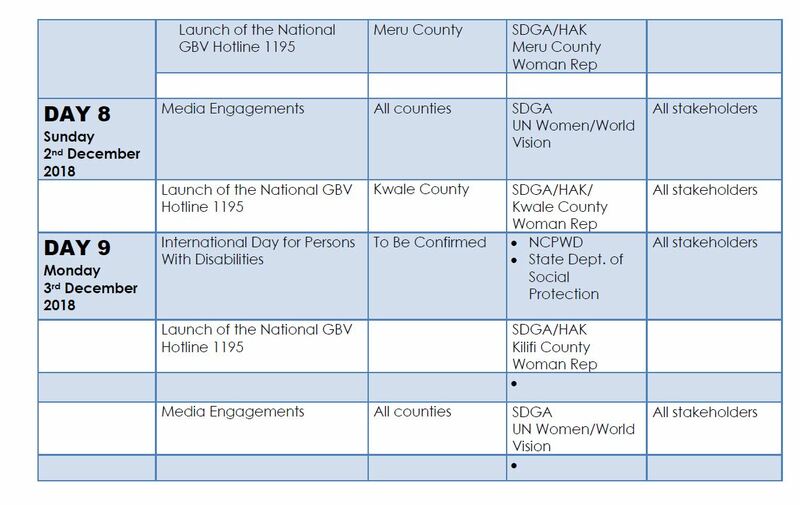 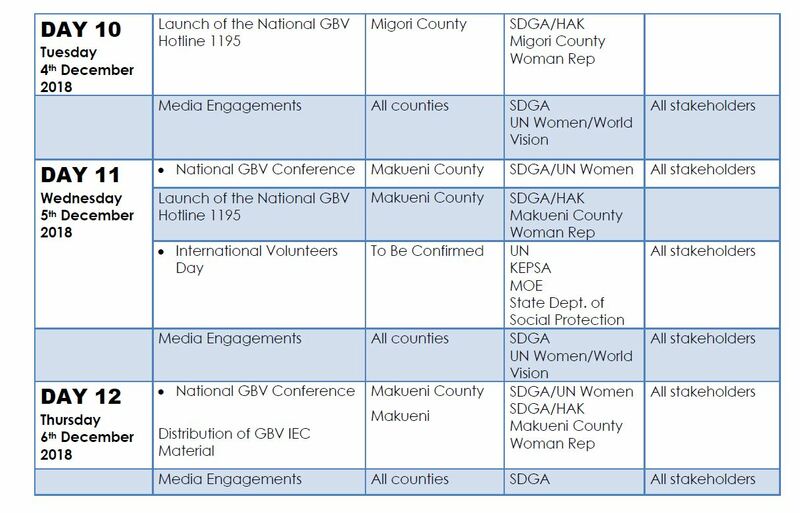 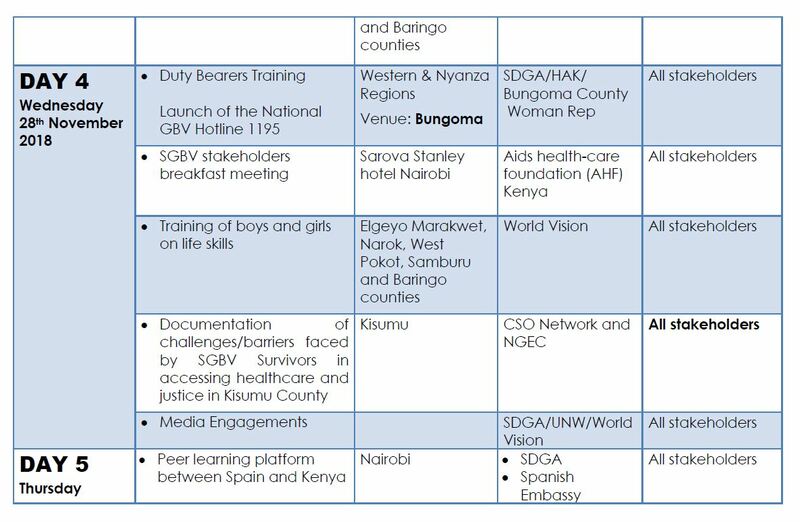 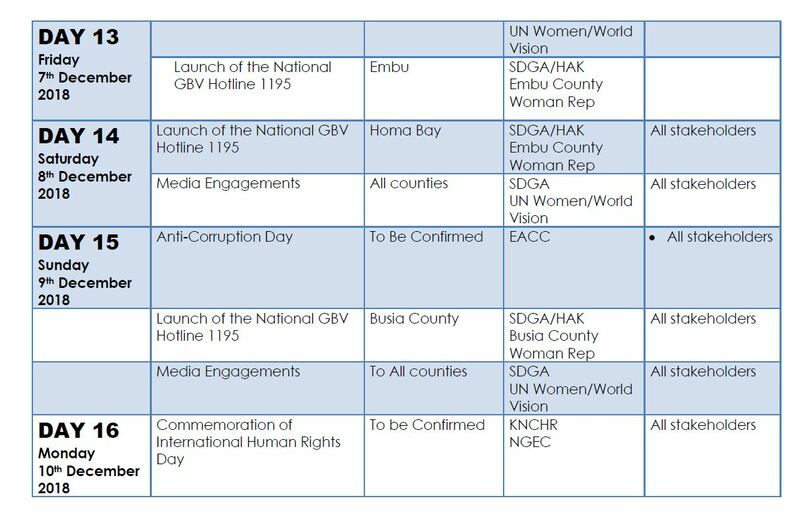 Below is a calendar of activities to be marked during the 16 days in Kenya, LVCT Health will be involved in some of these events and also feature in different media spaces to share our work and rally support against gender based violence.